The dielectric withstanding voltage options available are AC1500V, 3500V, 4500V and 5400V for 1 minute and also available in extended ohmic ranges from 0.001Ω up to 750kΩ. Please contact us for further details. 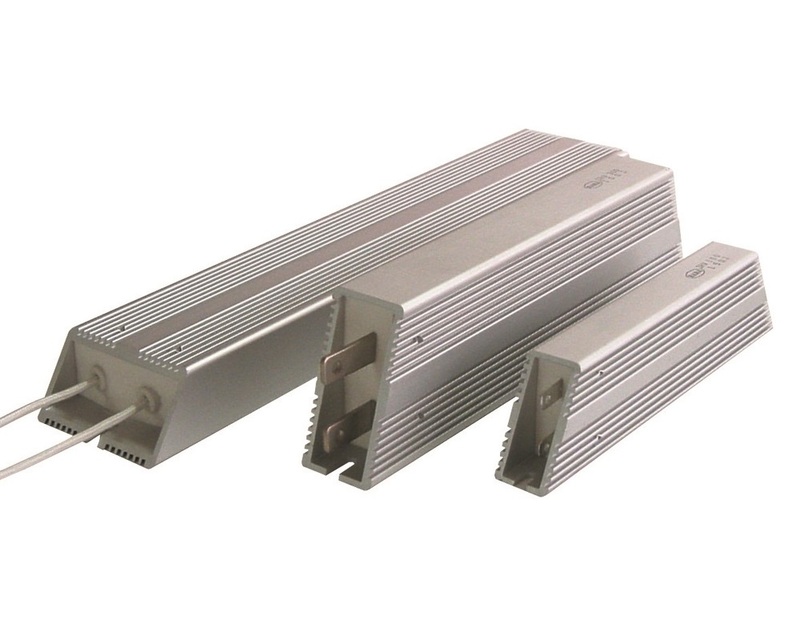 The IRH60 metal clad wire wound resistor series from RARA offers a power rating of up to 60W on a heat sink (50W in free air) with available resistance values between 0.1Ω and 400Ω (inductive design) or between 0.1Ω and 180Ω (non-inductive design). These high power resistors are available with tolerances of ±0.5%, ±1.0%, ±2.0%, ±5.0% and ±10.0% as standard with other options available including flying leads or tab terminals, as well as inductiv.. The IRH80 metal clad wire wound resistor series from RARA offers a power rating of up to 80W on a heat sink (64W in free air) with available resistance values between 0.1Ω and 910Ω (inductive design) or between 0.1Ω and 110Ω (non-inductive design). These high power resistors are available with tolerances of ±0.5%, ±1.0%, ±2.0%, ±5.0% and ±10.0% as standard with other options available including flying leads or tab terminals, as well as inductiv.. The IRH100 metal clad wire wound resistor series from RARA offers a power rating of up to 100W on a heat sink (80W in free air) with available resistance values between 0.1Ω and 1.1kΩ (inductive design) or between 0.1Ω and 240Ω (non-inductive design). These high power resistors are available with tolerances of ±0.5%, ±1.0%, ±2.0%, ±5.0% and ±10.0% as standard with other options available including flying leads or tab terminals, as well as induc.. The IRH120 metal clad wire wound resistor series from RARA offers a power rating of up to 120W on a heat sink (96W in free air) with available resistance values between 0.1Ω and 1.3kΩ (inductive design) or between 0.1Ω and 300Ω (non-inductive design). These high power resistors are available with tolerances of ±0.5%, ±1.0%, ±2.0%, ±5.0% and ±10.0% as standard with other options available including flying leads or tab terminals, as well as induc.. 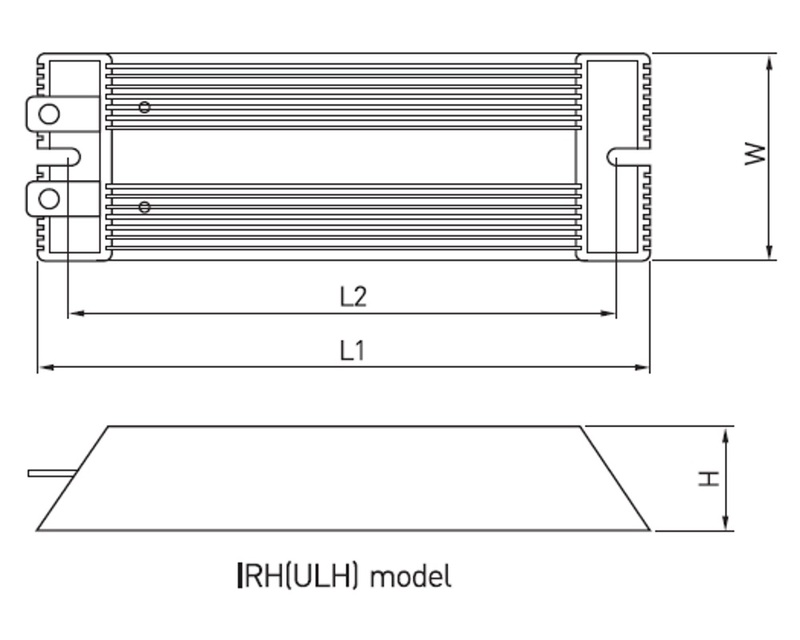 The IRH120 metal clad wire wound resistor series from RARA offers a power rating of up to 150W on a heat sink (120W in free air) with available resistance values between 0.1Ω and 1.6kΩ (inductive design) or between 0.1Ω and 390Ω (non-inductive design). These high power resistors are available with tolerances of ±0.5%, ±1.0%, ±2.0%, ±5.0% and ±10.0% as standard with other options available including flying leads or tab terminals, as well as indu.. The IRH200 metal clad wire wound resistor series from RARA offers a power rating of up to 200W on a heat sink (140W in free air) with available resistance values between 0.1Ω and 2.2kΩ (inductive design) or between 0.1Ω and 1kΩ (non-inductive design). These high power resistors are available with tolerances of ±0.5%, ±1.0%, ±2.0%, ±5.0% and ±10.0% as standard with other options available including flying leads or tab terminals, as well as induc.. The IRV300 metal clad wire wound resistor series from RARA offers a power rating of up to 300W on a heat sink (210W in free air) with available resistance values between 0.1Ω and 2.7kΩ (inductive design) or between 0.1Ω and 1.5kΩ (non-inductive design). These high power resistors are available with tolerances of ±0.5%, ±1.0%, ±2.0%, ±5.0% and ±10.0% as standard with other options available including flying leads or tab terminals, as w.. 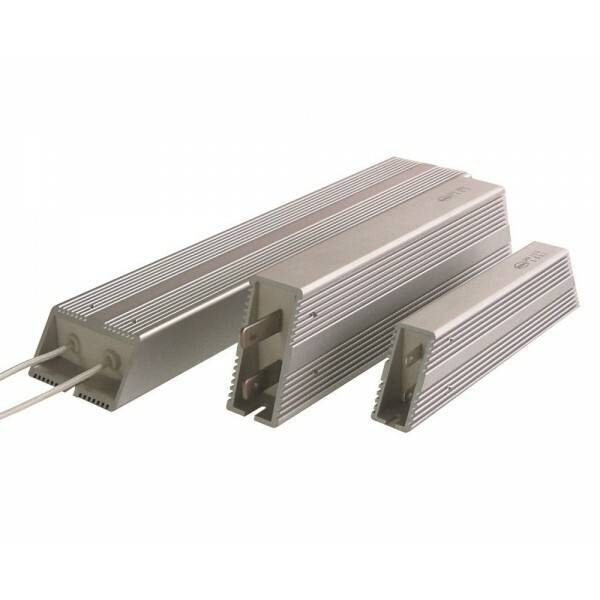 The ULV300 metal clad wire wound resistor series from RARA offers a power rating of up to 300W on a heat sink (210W in free air) with available resistance values between 0.1Ω and 2.7kΩ (inductive design) or between 0.1Ω and 1.5kΩ (non-inductive design). These high power resistors are available being UL approved and with tolerances of ±0.5%, ±1.0%, ±2.0%, ±5.0% and ±10.0% as standard with other options available including flying leads .. The ULH300 metal clad wire wound resistor series from RARA offers a power rating of up to 300W on a heat sink (210W in free air) with available resistance values between 0.1Ω and 2.7kΩ (inductive design) or between 0.1Ω and 1.5kΩ (non-inductive design). These high power resistors are available being UL approved and with tolerances of ±0.5%, ±1.0%, ±2.0%, ±5.0% and ±10.0% as standard with other options available including flying leads .. The IRH400 metal clad wire wound resistor series from RARA offers a power rating of up to 400W on a heat sink (240W in free air) with available resistance values between 0.1Ω and 4.3kΩ (inductive design) or between 0.1Ω and 2.2kΩ (non-inductive design). These high power resistors are available with tolerances of ±0.5%, ±1.0%, ±2.0%, ±5.0% and ±10.0% as standard with other options available including flying leads or tab terminals, as well as ind.. The IRH500 metal clad wire wound resistor series from RARA offers a power rating of up to 500W on a heat sink (300W in free air) with available resistance values between 0.1Ω and 6.8kΩ (inductive design) or between 0.1Ω and 3kΩ (non-inductive design). These high power resistors are available with tolerances of ±0.5%, ±1.0%, ±2.0%, ±5.0% and ±10.0% as standard with other options available including flying leads or tab terminals, as well as induc..